It is impressive, nay amazing, what the human soul can withstand. The Beauty of the Fall by Rich Marcello chronicles one such journey. Our protagonist is Dan Underlight, a man approaching the end of his prime who is getting laid off from the company he helped found. Dan has always been involved with hi-technology and the story opens with his seemingly unjust dismissal from a company he has birthed and nurtured much like a child. As Dan leaves RadioRadio Software after being pushed out by his founding partner, Olivia, we are privy to the sensational emotional and physical journey he undergoes. We learn that a few years ago Dan lost his only child, ten-year-old Zack, and that he dropped into a deep depression. We learn that Dan is divorced and that there is nothing in his life that brings him joy as much as working for RadioRadio had. When we begin our story, we meet a battered man who has nothing left. Then he begins a journey, and takes us with him. Marcello is a master with language. The story flows in such a natural way it is easy to get sucked into what you’re reading and lose track of time. There are no unnecessary words. In a tragically beautiful tale like this it is easy to drown your story in frivolous language. Marcello keeps the dialogue short and only uses it when absolutely necessary. We journey through this story from Dan’s perspective as it is told in the first person. Marcello weaves effortlessly between Dan’s thoughts and the words he and those he meets say. Poetry peppers the text due to the creative Willow who will become both a source of strength and sorrow for Dan. He is a man who is grieving: grieving the loss of his child and the loss of his reason for existence. We go with Dan through therapy, we journey with him on his pilgrimage and we arrive at his revival as he creates a company even better than the one he had before. It’s not all roses and sunshine for Dan, however, and we also continue with him through his intense sorrow and his drunken attempts at coping. 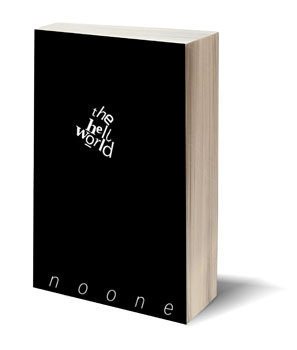 Marcello’s portrayal of the human condition is fantastic and readers will not be disappointed. The story is broken down into parts and time flows effortlessly. In some novels time skips are awkward and unnecessary. Even the short six month time skips are effortless and useful. When we meet Dan, he is broken and wounded. He rebuilds, even better than before, but suffers two detrimental losses that may have readers concerned about his recovery. After all, he is only human and the soul can only withstand so much pain. Marcello doesn’t disappoint and the resolution of The Beauty of the Fall is realistic and will leave readers feeling confident in Dan’s choices for the rest of his life. 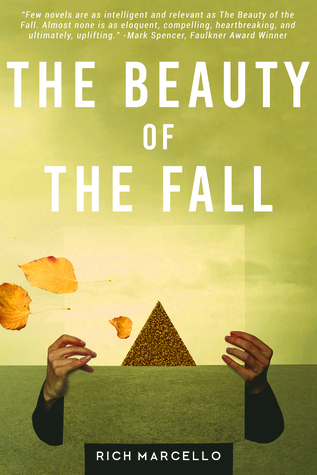 If you’re looking for a masterful tale that will have you laughing, crying and questioning how you view yourself in the universe, you will not be disappointed with Rich Marcello’s wonderful portrayal of the human condition in The Beauty of the Fall.